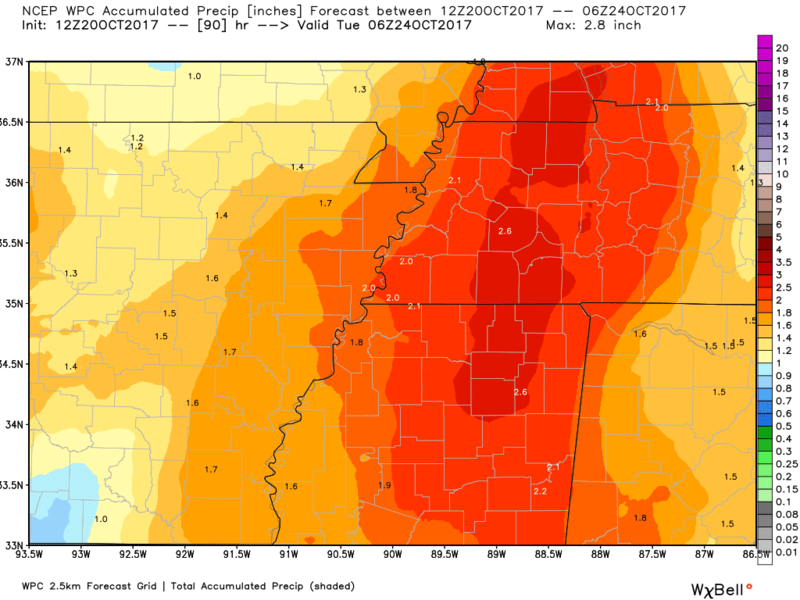 MWN Blog: The fall weather roller coaster is leaving the station! The fall weather roller coaster is leaving the station! A gorgeous fall week is in the books and I know many of you are grateful for that! After a few "false starts" and a late end to the warm season, the pleasant days and cool mornings this week have been welcomed. Now we're all ready for a beautiful fall weekend right? Well, perhaps Mother Nature can partially deliver... The weekend starts with Friday night though and it promises to be a nice one. Skies will be mainly overcast, but it will be dry with temperatures in the 70s and comfortable humidity levels for Friday Night Lights, the last free concert of the fall season at Levitt Shell (here's a plug for their awesome end-of-season benefit concerts in 2 weeks), and whatever else you might have planned. As we head into Saturday, I expect most of the day to be pretty decent, though clouds stick around and the south wind increases a bit ahead of our next weather-maker. Despite the chance of a few sprinkles or a brief light shower, it will be mainly dry with highs topping out near 80. Morning lows won't be as cool as this week - near 60 most likely, owing to increasing dewpoints on that south wind. Saturday evening should also be dry for most with a persistent south breeze at about 10 mph. 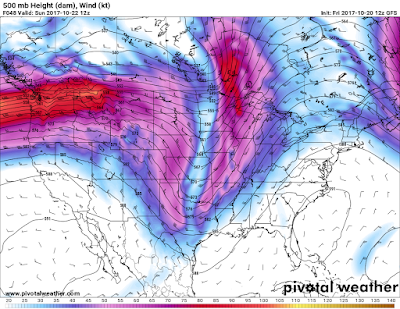 Things change early Sunday as a cold front nears and a fairly deep upper level trough , which is currently along the west coast, slides into the Plains. 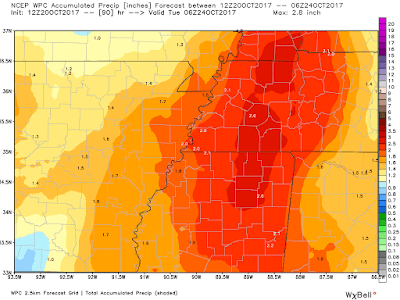 Precipitation chances increase precipitously (which they are wont to do) Sunday morning with a few non-severe thunderstorms thrown in for good measure. It will be mild as you head to church or brunch with temperatures in the 60s as rain becomes occasionally heavy. Look for the trend to continue throughout the day Sunday with temps not rising much above the lower 70s and rain continuing, producing up to 1-2" totals on Sunday. Though models differ a bit on the details, and any potential lulls, if you have outdoor plans Sunday, you'd be best served by having an alternate arrangement made. 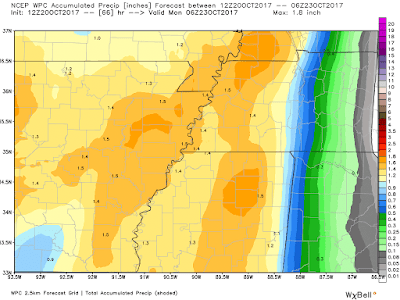 The forecast Monday is a little murky and unclear, mostly because the trough overhead is apt to form a "cut-off low" over the lower Mississippi Valley. Basically, this means a piece of the trough "cuts off" from the rest of the upper level flow and forms its own low pressure. 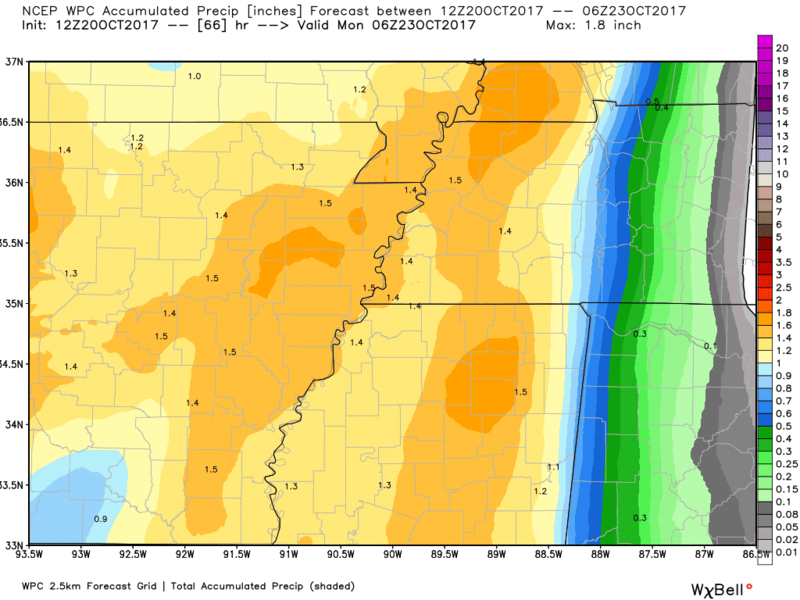 That looks to prolong rain chances, at least in scattered form, into the day Monday. Again, details are still TBD, but for now I"m going with scattered showers and cooler temperatures (60s) Monday, as well as a steady north wind behind Sunday's cold front. 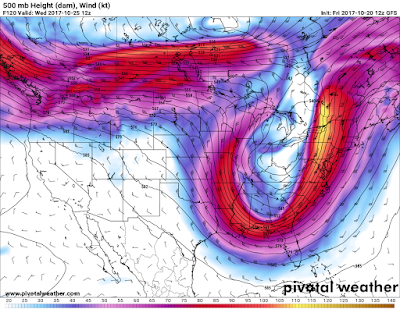 By Tuesday, the low moves east, high pressure builds back in, and in fact, another large trough develops over the eastern U.S. driving much cooler air into the Mid-South for mid-week. While it will be sunny out, this will likely be the coolest air of this early fall season with highs (maybe struggling) into the 60s and a few outlying areas probably seeing frost on Wednesday morning. 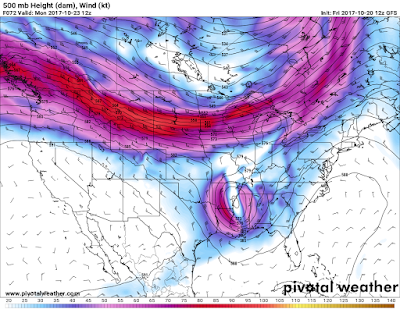 Looking out a bit further, another large-scale system quickly transits into the region as the progressive upper level pattern continues and we're probably looking at another rain event a week from now. Hang on tight - the autumn roller coaster has left the station! Fall cold blast on our doorstep! Humid weather and storm chances - then what?